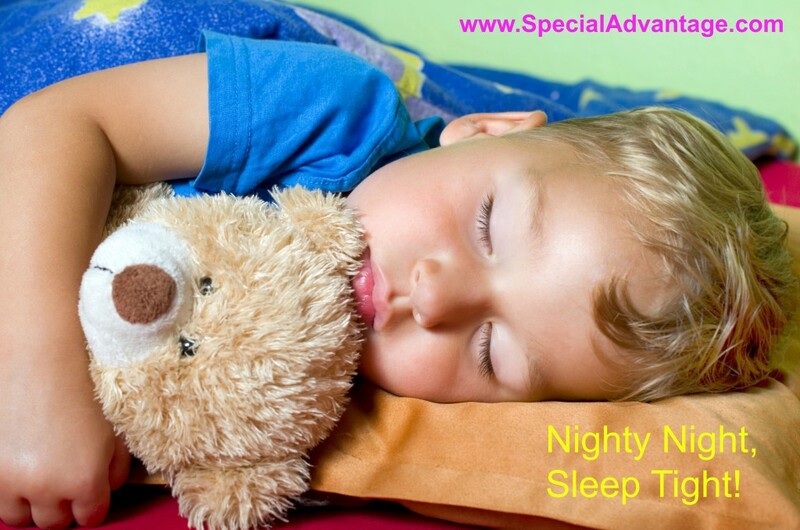 One of the most popular topics of discussion relating to young children is sleep issues. So many parents and grandparents are worried about their child or grandchild’s sleep. Because it’s one of my favorite topics to help families with, I’ve developed a support program specifically around sleeping. The concerns parents have about their child’s sleep – and also their own! Many children, regardless of their abilities, have some form of sleep difficulties during the first 5 years of life. Starting off with good, healthy sleep habits early on can help you avoid bigger sleep issues down the road and since sleep is the #1 correlation with healthy brain development it is important to help your child develop good habits early on. Establishing bedtime routines leading up to sleep are very helpful. Putting your infant or child in their crib or bed before he or she is asleep is especially helpful. You don’t want your child to connect falling asleep with being fed, rocked or sung to while in your arms because that is what they will expect and require upon night time wakeups and later bedtimes. Putting them to bed drowsy will help them learn. Most infants can sleep through the night without awaking when they are about 6 months old. Developing a regular bedtime and wakeup time can be very effective with helping your child get enough rest. Reducing over-stimulating activities before bedtime, particularly active play or TV/Screen time, can help decrease sleep problems. However, any type of aerobic activity during the later afternoon can aid in sleep. This entry was posted	on Wednesday, August 20th, 2014 at 7:10 pm	and is filed under Self-Help. You can follow any responses to this entry through the RSS 2.0 feed. You can leave a response, or trackback from your own site. Such great information not only for parents who are “training” their children how to get good night’s rest, yet for adults too, who have a hard time sleeping at night. Thank you for all that you do, Denise. It’s my greatest pleasure, Susan! I know how important it is go get a good night’s sleep and if I can help just ONE family, then it’s all worth it! No one functions well without getting good rest – I’m so happy you enjoyed the article. 🙂 Sleep well my friend!